Few activities strike fear into the heart of HR leaders like having to defend an EEOC complaint, even if the claim has no basis in fact. The problem isn't whether the company believes wrongdoing occurred — the problem is whether the investigator or court believes the complaint has merit, which can be challenging. In this continuation of our series on managing and responding to an EEOC complaint, we're going to talk through how to respond and what information might be requested. From the very beginning, one of the things that you must remember is a concept called the burden of proof. In this instance, the burden of proof is on the complainant, and it's not the same concept that we've been conditioned to accept by popular media. Watch any TV show and you'll see court cases that require decisions to be made beyond a reasonable doubt. In other words, the decision maker has to be completely sure of the ultimate judgment call without any margin for error. However, in this instance the decision is made based on the preponderance of evidence, which simply means looking at the body of evidence and making a judgment call based on that overall picture. In essence, which side of the argument seems to have more weight and credibility? This means that at every opportunity employers should attempt to provide punctual, factual and complete information that will be factored into that body of evidence and weigh the decision in their favor. During the early stages of the investigation, both parties will be asked to share information. In the employer's case, this means offering up its statement of position. At this point in the process the complainant has already shared their side of the story, and this provides the employer the opportunity to share its own version. In this statement, the employer should not only lay out the facts and evidence it has gathered but also point to any circumstances that might render the claim invalid, such as recurring performance problems, for instance. Beyond the original narrative, or statement of position, employers may also be requested to provide additional data and records in an official RFI, or request for information. This request could cover a variety of information and employers need to be careful that the EEOC investigator does not overstep any bounds in the request. Asking for tangential information that is unrelated to the claim is not against the law, and employers should attempt to work collaboratively to define exactly what information fits around the claim. For instance, the investigator can't ask for employee files of all workers in the business. However, if the employee is claiming that she was terminated due to age discrimination, it would be smart to respond back with basic information on other similar-aged individuals that have not been terminated as a way to dismantle the complainant's argument. 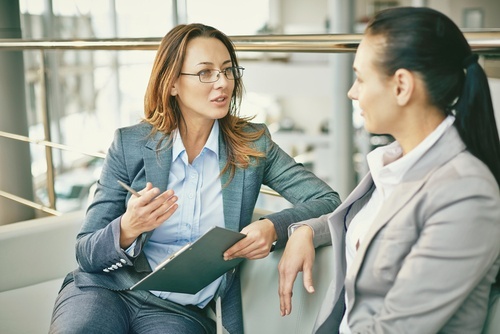 If the investigator is not dissuaded from pursuing some types of information that the employer deems unrelated, the EEOC may subpoena the information directly, so it's best to attempt to resolve any disagreements in a proactive manner. This RFI can potentially morph into an on-site visit if it is deemed necessary by the investigator, but many cases are handled without a site visit occurring. The site visit should be managed similarly to the data provided in the RFI — investigators do not have the authority to examine documents and information outside the scope of the investigation, but if there are relevant pieces of information that support the employer's case, it would be worthwhile to share them openly with the investigator. The investigator may request contact information for individuals connected to the claim in order to perform interviews. It's important to note that HR staff are allowed to attend interviews of management personnel but the investigator can complete interviews of non-management staff without HR's permission or attendance. 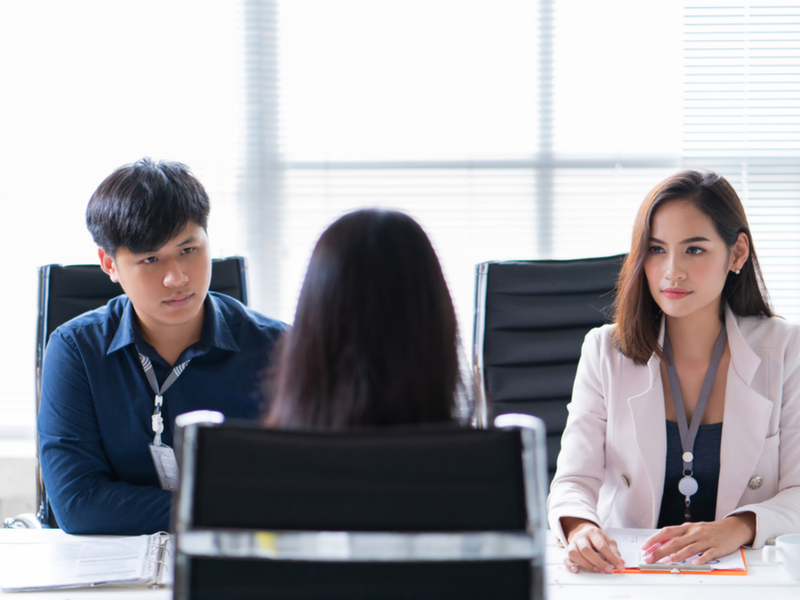 While HR staff can ask those non-management witnesses about the interviews, care must be taken to avoid any appearance of retaliation or improper response based on someone's participation in the investigation. The individuals targeted by these interviews will most likely come from names provided by the employer's statement of position or RFI response or the complainant's statements about others who might verify the claim or who might have similar complaints of discrimination. Again, while this process can be time-consuming, it is important to prioritize the timely responses to any data requests and to work collaboratively with the investigator to address the claim. This is even more important for frivolous claims, as a quick, well-positioned response can help to resolve the case as early as possible. In our next installment in the series, we will look at the types of decisions the EEOC can make after completing the investigation and what potential repercussions each option has for the employer.